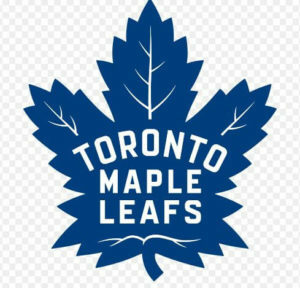 The Toronto Maple Leafs are one of the six original founding members of the National Hockey League. Despite not being as strong a side as their fans would like in recent years, the team is arguably one of the biggest in the league with millions of fans tuning in to watch each of their games. The team has not won a Stanley Cup title since 1967 but has had a relatively strong showing in recent times. On this page, we have a look at the Toronto Maple Leafs odds, standings and upcoming fixtures. Looking for the best odds on the next Leafs game? Then, you’ve come to the right place. The sportsbooks below have got the best odds online! While the first half of the Maple Leafs’ existence was filled with Stanley Cup wins (13 in total), the second half of their history has been filled with disappointment. Since last winning the Cup in 1967, have only made a few Division Championship appearances and haven’t really managed to win any of them. The team’s Stanley Cup drought is actually the longest in NHL history. With that said, the team is currently undergoing a massive rebuild under the hand of coach Mike Babcock. The team seems to be steadily improving with the team placing quite well in the Atlantic Division in the last few years. In fact, many sportsbooks have pegged the Leafs to perhaps take the Stanley Cup in the 2019 final with their current form and end their drought. While we wouldn’t usually recommend placing future bets on the Leafs, we will say that the team has been doing pretty well this year. So, a bet on them to win it all may actually prove to be somewhat fruitful. This is especially true when one takes into account the fact that their offensive line up includes John Tavares and Auston Matthews. With this in mind, if you’re looking to place a good bet online, have a look at some of the sportsbooks up above.